The Mercedes-AMG stable is growing at a rapid rate but none of the models has a cult-like following quite like the famous G-Wagon. In G63 guise it gets even better. Add on the Edition 1 pack and you find yourself inside a car that grabs attention like a supercar. Geländewagens are timeless, which is why you shouldn’t be at all surprised to notice the new vehicle seen here is nearly identical to the model it replaces. The German manufacturer’s thoughts here was why mess with something that is somewhat of a design icon? So they simply refreshed the styling and focused on updating the crucial aspects such as the interior, the chassis, the infotainment system and most importantly the drivetrain. They made the car 121 mm wider and 53 mm longer so you have a healthy increase in interior space. They also raised it by 6 mm and despite its gain in size, it actually weighs 170 kg less than the old one. It is still a heavy brute weighing in at 2,650 kg and everything about it feels wholesome. Opening and closing the doors is an experience in its own right and they engineered the doors to make the iconic military-sounding open and close latch noise. Pop open the door and you will have to hoist yourself into the very comfortable seat complete with inflating bolsters to keep you and your passenger in place when cornering the SUV (this is a R30,000 optional extra). Inside you will notice massive changes compared to the previous gen with Benz’s new widescreen cockpit concept. This joins two 12,3-inch screens into one seamless panel of which the right side provides the driver with the relevant information and can be flipped between classic, sporty and progressive themes. The left portion of the screen is the infotainment section but because it was launched early in 2018, it does not benefit from the new MBUX system found in the newer Mercedes models. 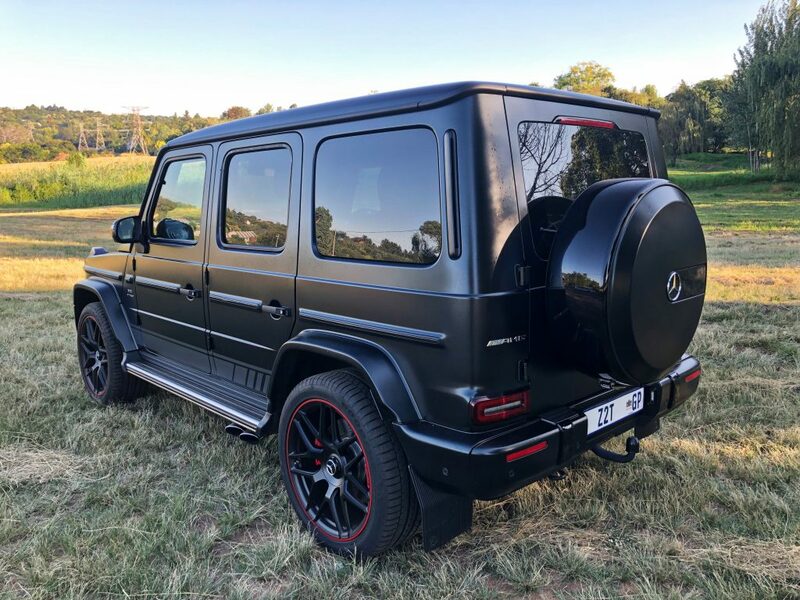 Fuel-saving in a G63 is not something you will ever do but you will without a doubt have a lot of fun burning up that fossil fuel thanks to the deep grumble coming out of those pedestrian scaring side-exit exhausts and the relentless power under your right foot. Underneath the brutish body, the new G-Class received a significant change. Gone is the solid front axle and an independent arrangement has been installed in its place but the solid rear axle and three diff locks (each can be controlled at the push of a very prominent button inside the cabin) have been retained. 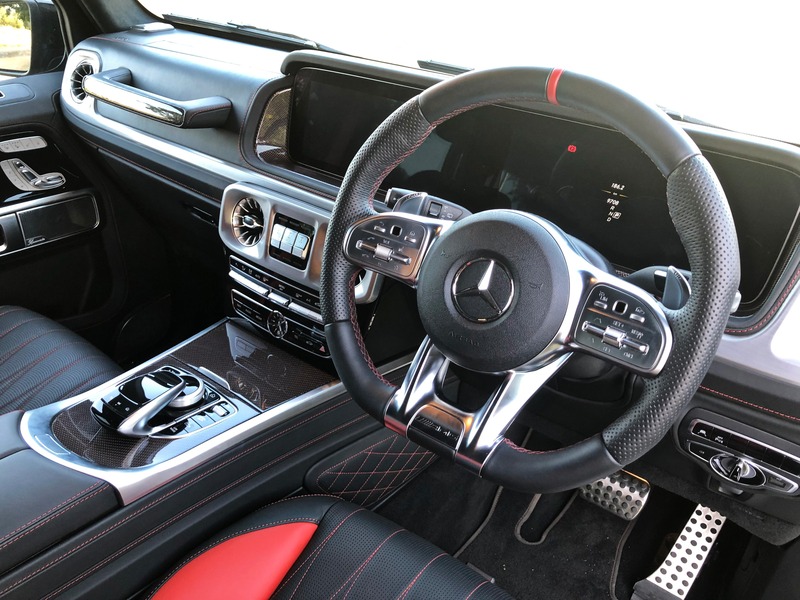 Yes, it does get AMG Ride Control which can be adjusted according to the driving style and road surface but even in the comfort setting you will feel blemishes in the road so we left it in Sport+ (obviously). The test car sat on huge 22-inch optional wheels which does not help the comfort factor but it is more than comfortable enough to drive daily and on long journeys just don’t expect Range Rover levels of luxury and comfort. Corner a little enthusiastically and the electronic aids will kick in immediately by abruptly cutting power to the necessary wheels so yes it is a lot happier being hammered in a straight line but then again that is its purpose (kind of). 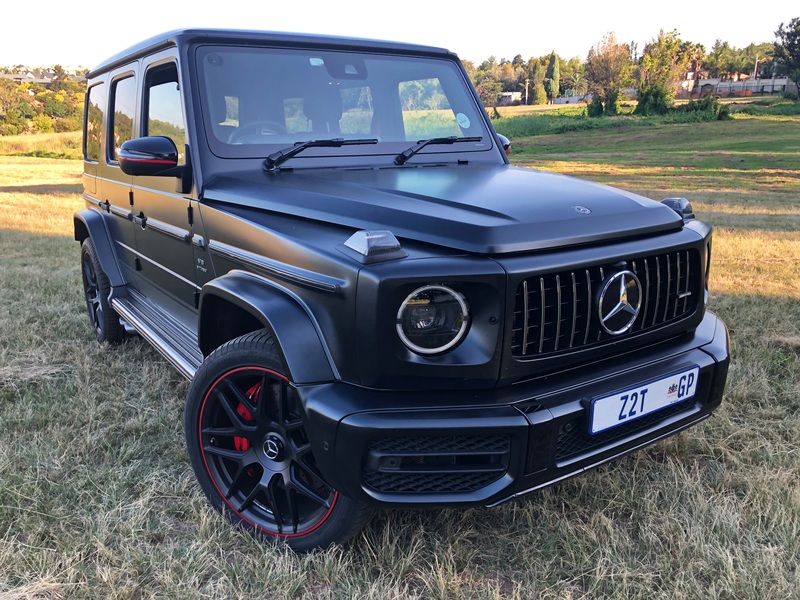 It is ridiculously fast for its shape and size, it has so much presence, the cool factor is off the charts but would I part with a touch over R3 million (Edition 1 is R300k extra) for one? I find myself wanting one after my week with it but it would only be added to my garage if I had pretty much everything else. This is an unstoppable force of feel-good motoring and I can see why it has such an enormous fan club following but cannot get my head around that price tag.